Although it’s still the middle of earnings season, volatility is almost non-existent on the Street, as all three major indexes are close to flat as investors play it safe with the election looming, as well as the October jobs report coming out later this week. In this article, we’ll examine five stocks that are capturing intense interest from investors and making bigger moves today, which are Alibaba Group Holding Ltd (NYSE:BABA), Chevron Corporation (NYSE:CVX), Exxon Mobil Corporation (NYSE:XOM), MGM Resorts International (NYSE:MGM), and TeamHealth Holdings Inc (NYSE:TMH). We’ll also see how hedge funds were positioned in each stock using the latest 13F filings. At Insider Monkey, we track over 700 hedge funds, whose quarterly 13F filings we analyze and determine their collective sentiment towards several thousand stocks. However, our research has shown that the best strategy is to follow hedge funds into their small-cap picks. This approach can allow monthly returns of nearly 95 basis points above the market, as we determined through extensive backtests covering the period between 1999 and 2012 (see the details). 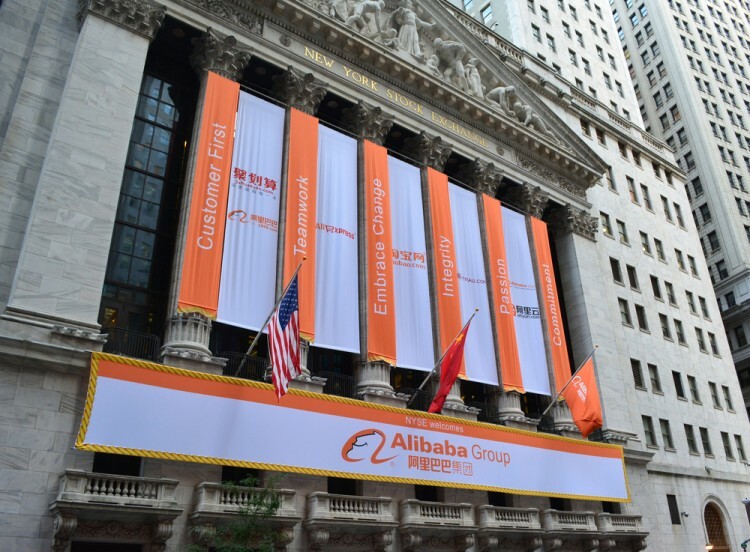 Alibaba Group Holding Ltd (NYSE:BABA) is in the spotlight today after the company consolidated its disparate media assets of Youku Tudou, Alibaba Pictures Group, and others into one division, Alibaba Digital Media and Entertainment Group. The former CEO of UCWeb, Yu Yongfu, will be the CEO of the group. In addition, Alibaba has also announced a 10 billion yuan ($1.48 billion) initiative to produce more media projects. Alibaba’s move reflects how traditional media and the internet are merging and shows how the e-commerce giant’s management is actively adjusting to the changing landscape. As for hedge fund ownership of Alibaba Group Holding Ltd (NYSE:BABA), Ken Fisher‘s Fisher Asset Management raised its stake in the company by 2% in the third quarter to 3.28 million shares on September 30. Chevron Corporation (NYSE:CVX) shares are 1.25% in the green after Neil Mehta of Goldman Sachs upgraded the stock to ‘Conviction Buy’ from ‘Neutral’ and hiked his price target on it to $118 per share from $108. Mehta likes Chevron’s expected “strong volume improvement” over the next few years, as well as the corresponding free cash flow increase, which the analyst thinks will more than cover the company’s current dividend. Chevron reported better-than-expected third quarter results last week. Of the 749 elite funds we track which filed 13Fs for the June quarter, 47 owned $1.96 billion in Chevron Corporation (NYSE:CVX) shares on June 30, compared to 46 funds with $1.71 billion in holdings on March 31. On the next page we’ll examine why the spotlight is on Exxon Mobil, MGM Resorts, and TeamHealth Holdings this morning. Billionaire Mario Gabelli Says Time Is Right To Buy Casino Stocks, Likes FIZZ... Sui Generis Lays Out Bearish Oil Price Thesis Hedge Funds Lay Out Bullish Cases for Tyson Foods, Credit Acceptance Corp,... Billionaire Rosenstein Out of AutoNation, Talks ConAgra, Walgreens Invest for Kids Chicago: 5 Long Ideas Pitched by Leading Investors Can New Alcohol ETF Compete with Other Thematic ETFs?